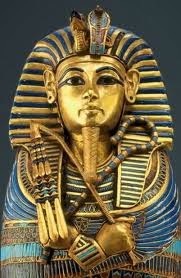 The Discovery of King Tut exhibition is being displayed in selected cities across the country. I had the misfortune to miss it completely when it was in Philadelphia, because I heard about it just before it left town. Way to go! This is a remarkable presentation of perhaps the greatest archeological discovery of the twentieth century. 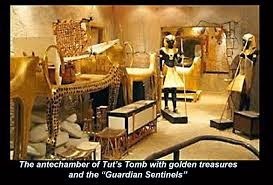 This exhibition is somewhat unusual in that the more than 1000 artifacts are actually reproductions of the treasures discovered by Howard Carter within King Tutankhamun's tomb in November of 1922. The exhibition presents the actual excavation at the exact moment of its discovery, and the public can appreciate the magnificence of all the artifacts without harming the fragile sensitive originals, which are no longer allowed outside Egypt. 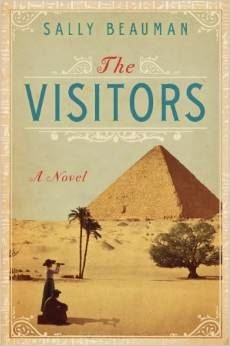 Amelia Peabody and her cohorts may have been there only on the sidelines in Elizabeth Peters' Tomb of the Golden Bird, but Sally Beauman in The Visitors (Harper/HarperCollins, July 1, 2014) tells the tale from the point of view of an eyewitness, young Lucy Payne, who has been sent to Egypt to recover from typhoid fever. Her governess, Miss Mack, accompanies her. Lucy narrates the story, which includes the events during her stay in Egypt, her return to Cambridge, vacation in Hampshire and her eventual return to the Valley of the Kings. One of the first people she meets in Egypt is eight-year-old Francis Winlock, who is in the Valley of the Kings with her archeologist father. These girls become fast friends, because they are both staying at the American House, where many archeologists live. This is 1922, and the mood in the house is electric because everyone is expecting a rare new discovery. Lucy and Francis bond nicely, because they are both trying to understand the adult world and their place in it. Lucy was only 11 years old when she first visited Egypt, and she spends the rest of her life dreaming about her time there, and in her old age she reminisces about it. But she revealed her memories reluctantly to curiosity seekers, because there are some things about those days she would rather forget. Beauman weaves together both fact and fiction, as she incorporates real people in her story. Howard Carter is the well-known archeologist whose claim to fame was the discovery of the long-looked-for burial site of Tutankhamun, and Frances' father Herbert Winlock was a real American archaeologist and field curator of the New York Metropolitan Museum of Art's excavations near Luxor. Some of the lesser archeologists involved in the dig are represented, as well as the foreman, Ahmed Girigar. 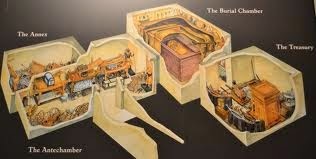 The King Tut exhibition is in Kansas City for the summer, and then it will move on to San Diego. I am not sure where it goes after that, but if it comes back my way I won't miss it again. While you are mentally in Africa, you might consider a side trip to British East Africa. In the early part of the last century, it was at first sight a place of extraordinary beauty; that is, before the inequalities and iniquities of the human conditions come to light. 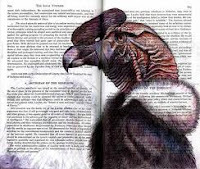 Annamaria Alfieri's African tale, Strange Gods (Minotaur, June 24, 2014), is a novel that will please fans of Isak Dinesen's Out of Africa and Elspeth Huxley’s The Flame Trees of Thika as well as the small gem of a TV series about a policeman in Kenya, Heat of the Sun. In England, Justin Tolliver would merely be the second son of an earl, but fortunately for him he is excited and thrilled by Africa and he wants to make a life there. Farming, the normal livelihood of the expats in the area, is out of the question because he has little money, so he takes a job as a police officer. His job is made difficult by the fact that there are rules for the British and different ones for the Africans, but he settles in well and he even meets a girl who attracts him. She is Vera McIntosh, a young Scottish girl who has also come to love Africa. She came to Africa with her family and an uncle, Dr. Josiah Pennyman, who has been forced to leave Scotland because he had wandering hands that he laid too often on his female patients. 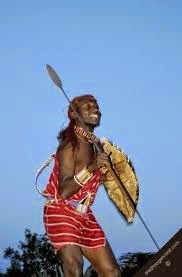 British East Africa is where the pervert doctor comes by his just desserts, as he is found with a native Kikuyu spear in his back. Everyone believes that the native medicine man is his nemesis, and Justin Tolliver is expected to wrap up the case without much more ado. 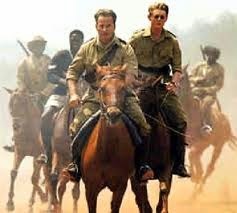 But Tolliver is still idealistic enough to believe that the British law should be applied equally to everyone, and he sets out to discover the truth, with the help of a tribal lieutenant, Kwai Libazo. The first thing they discover is that the spear is actually Masai––and the list of suspects grows. 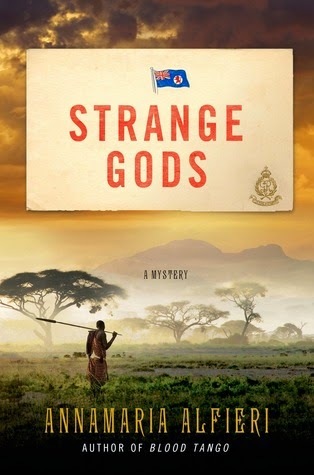 Strange Gods is the first in a new mystery series, which entices us with the beauty and peril of the wilds of Africa, and set in the colonial days that are complicated by the imposition of a foreign culture on an indigenous people. Continuing on this world tour of summer reading is going to take me to Spain; Barcelona in particular. Last summer I was reading The Summer of Dead Toys, by Antonio Hill, which ended in a cliffhanger, and I have been eagerly waiting for the next in the series. I don't have to wait much longer. 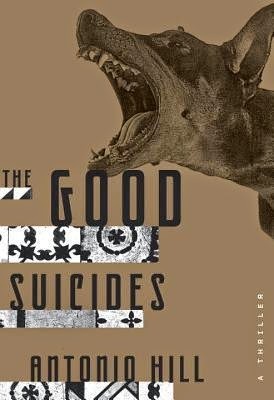 The Good Suicides (translated from the Spanish by Laura McGloughlin; Crown, June 17, 2014) will be out soon. Transplanted Argentine Inspector Héctor Salgado, as acerbic as ever, is suffering through a cold snap in Barcelona. His wife is still missing and Leire Castro, his partner, is on maternity leave. He is assigned to a case in which all the senior staff of the Alemany Cosmetics Company have returned from a team-building retreat in a remote country house and received a disturbing email with the strange message, "Never Forget." Then, these same people begin committing suicide, one by one. The clock is ticking, as Salgado rushes to unlock the puzzle that is causing these young executives to choose death over life. On the other hand, Leire is bored and continues to try and solve the case of the missing wife––and ends up causing more problems than she solves. Hill tells the stories from various points of view and then zigzags through twists and turns that will keep your pulse pounding. I have mixed feelings, because the saga closes again with an ending that leaves the reader up in the air so that we have to wait another year for some resolutions. My last selection today is not reachable by any cruise ship because, even though the locale is the USA, it is a different world. 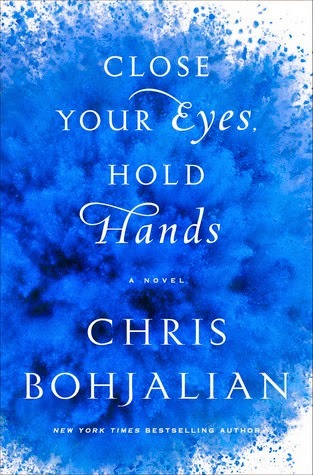 Chris Bohjalian's Close Your Eyes, Hold Hands (Doubleday, July 8, 2014) takes us back to a year ago, when there was a meltdown in a power plant in the Northeast Kingdom of Vermont. Emily Shepard was a 16-year-old almost-senior in high school the day Reactor Number One exploded. Both of her parents worked at the reactor, and both were killed. What made this disaster even worse for Emily was that the disaster might have been Emily's father's fault. She worries that he might have been drunk. Thousands of people were forced to leave their homes, the rivers and forests were destroyed and what isn't destroyed is at least contaminated. Since it happened on a school day, all the students were bused to a safe zone, where they would wait to picked up by any remaining family members. Emily feels that as the daughter of the most reviled man in America, her life is in danger. She sneaks away from the evacuation site and makes it to Burlington. 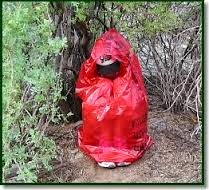 Here, she finds refuge among the homeless and lives in an igloo made of garbage bags. In order to keep her identity secret, she takes on a new persona and survives by stealing. Her solace in this terrible time is the works of Emily Dickinson, which are balm to her aching soul. Eventually she makes a few friends, but she realizes that she can't outrun her past and can't hide forever, so she needs a plan. She has to decide between suicide and survival. This story is a bit of an emotional roller-coaster and it will make you happy that it's summer in our world––and we can use garbage bags for summer detritus and not building materials. I have a few more good summer reads to tell you about in a few days. Meanwhile, I hope you enjoy more Material Witness suggestions. I've been drooling over THE VISITORS for some time now. SUMMER OF DEAD TOYS and GOOD SUICIDES are both in my review stack as well. No way will I get to everything I have my eye on this summer but I sure am going to try! If we had all the time in the world on our hands we would still have a TBR stack because there are so many wonderful books out there. I am still looking forward to reading some of the books I wished for last summer.